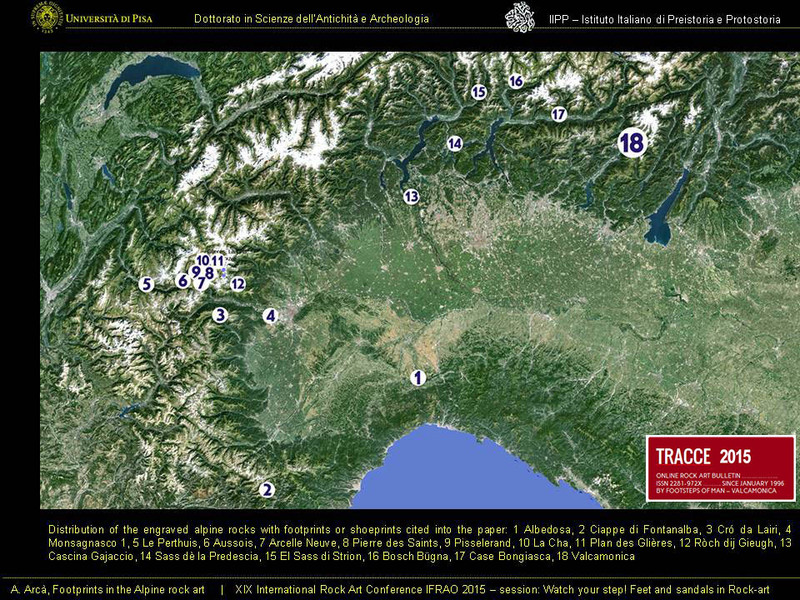 Chronology and interpretation of the “praying figures” in Valcamonica Rock Art. 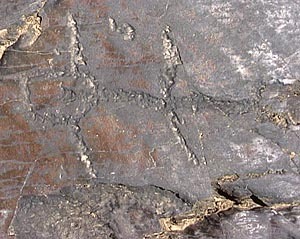 The so-called “praying figures” (“oranti” – orants) have been placed at base of the Camunnian Rock Art styles I and II. They have been attributed to the neolithic period in comparison with the antropomorphic figures of the decorated pottery of the Middle and Late Neolithic in Carpatic and Danubian area (Vinca, Cucuteni, 4000 a.C.) They have been also compared with a figure engraved in a bone from Riparo Gaban (First Neolithic, 6000 BP), others engraved in a menhir at Sion Chemin des Collines and in an open air rock at Crête des Barmes (Middle Neolithic II, Chassey-Cortaillod-Lagozza, 4000-3200 a.C.), and finally with many similar figures in Sardinian Domus de Janas (“Branca” grave at Cheremule – SS), supposed Neolithic (Ozieri Culture, 3500-2700 a.C.). This chronological attribution has been yet questioned. 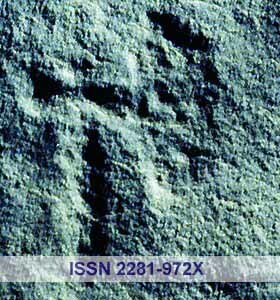 Recently the studies conducted by A. Fossati demonstrated how many “praying figures” are indeed weaponed (Naquane rock 35, Foppe di Nadro rock 22, Grosio Rupe Magna), and so they must be related to the Final Bronze Age (FOSSATI, 1992). 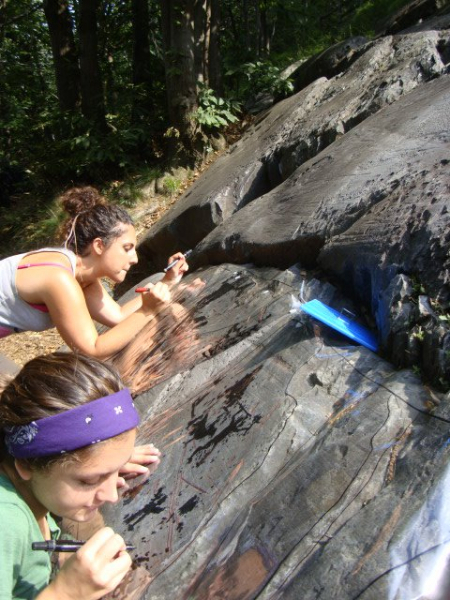 C. Ferrario obtained her Doctoral thesis in 1990 with a huge work about the “praying figures” in Valcamonica Rock Art. She demonstrated how the “praying figures” are always superimposed by the figures of the Style IV (Iron Age), and never by the figures of the Style III (Copper and Bronze Age). After a complete examination of the relationships and superimpositions between “orants” and other figures (mainly due to the Costa Peta case) she concluded that the major part of the orants belongs to the Middle-Recent Bronze Age. Successively the work of documentation conducted by Footsteps of Man in the Rupe Magna (Grosio) demonstrated how the orants are intimately connected with Late Bronze Age a First Iron Age warriors. at Campanine rock 16 an orant covers an Iron Age architectural representation. We must also notice how all the comparisons (except the Riparo Gaban case) in the Alpine range should be differently considered. At Sion Chemin des Collines it is possible that the menhir should be standing in the open air during all the Bronze Age. 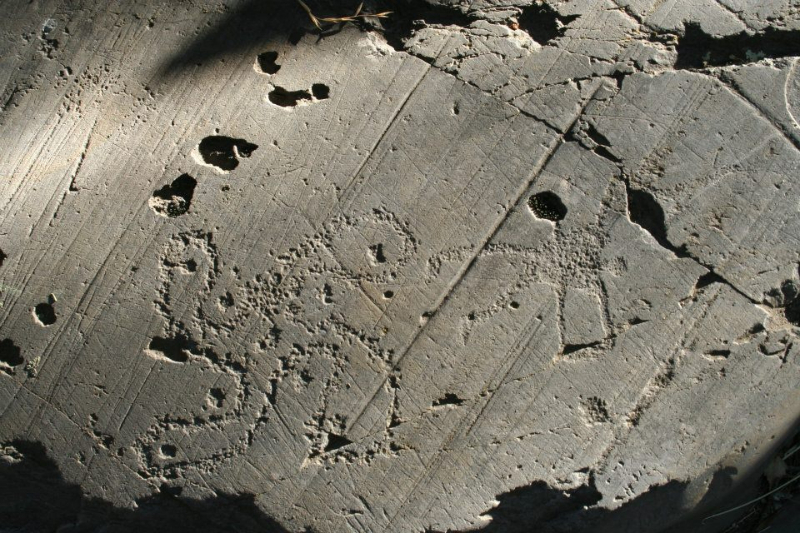 At Crête des Barmes the anthropomorphic figures are accompanied by circled cup-marks, which have been found also at Rupe Magna covering first Iron Age engravings. Outside the Alpine Range we have many orants figures in Sardinia, not only in Domus de Janas, but also in standing stones and in caves. The two main cases, Oniferi grave (NU) and Cheremule Tomba Branca (NU) are not to be related to the Ozieri culture, but to the Filigosa Abealzu Culture (first Calcholithic 2700 – 2500 a.C.), also in comparisons with the Laconi engraved menhirs, where we can finds very similar figures. 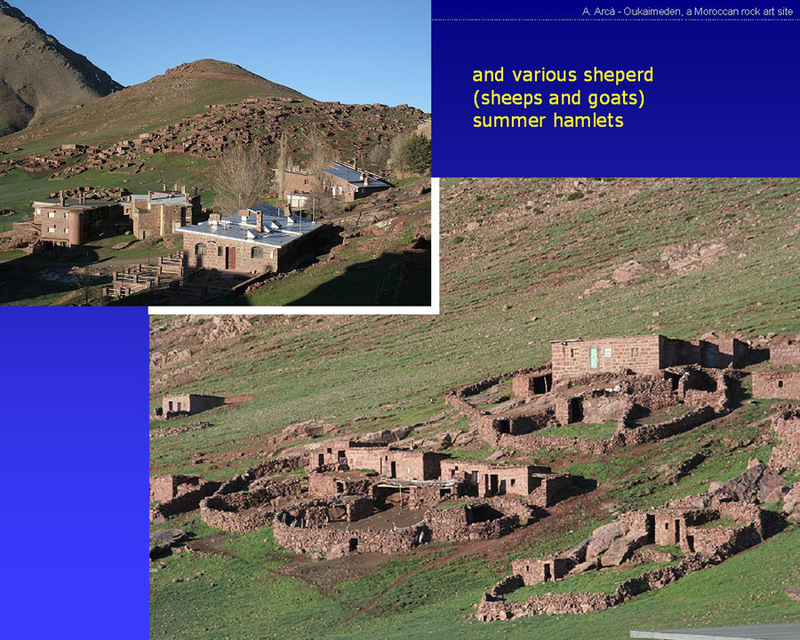 We must notice how Domus de Janas were utilised during a long-period range, from the Neolithic to the Ancient Bronze Age, and in some cases also till the Roman period. Has yet outlined by A. Fossati we have also many cases of similar schematic anthropomorphic figures in Villanovian hut-urns. At S. Germain en Laye National Archaeological Museum we can find a Middle Halstatt (650-550 a.C.) belt buckle decorated by a schematic anthropomorphic figure, exactly like an orant. So also in the Final Bronze Age an First Iron Age we can find useful comparisons. In the Griselle Rock (Garda lake), were various Late Bronze Age swords have been engraved, there is a never published figure (visible only with artificial grazing light) of a male orant with short legs. 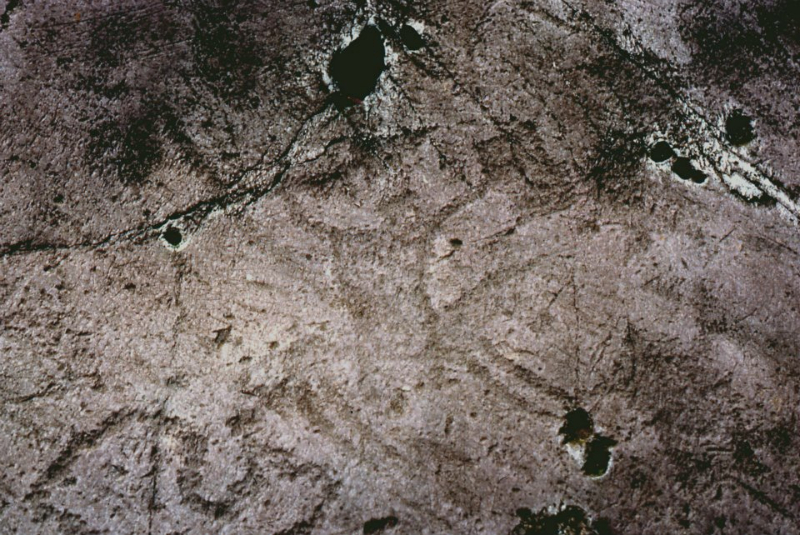 Another important feature of the orant figure is that they are never isolated, but always in surfaces where also Iron Age rock art is present. Counting the superimpositions cited by C. Ferrario we can find 22 cases of orants under IV2 stile (Iron Age) and only 2 under IV1 style (first Iron Age). So we can not only hypothesise but also concretely notice a concurring presence of orants figures and Iron Age figures, like a contiguous sequence. Different iconography, on the contrary, like topographical representations or Copper Age compositions, are almost always distributed in particular and well recognisable surfaces. We must also notice the frequent association between orants and schematic dog figures, which we find identical in the first Iron Age. The most frequent association is between orants itself. We can recognise many cases of couples, like in Grosio Rupe Magna. 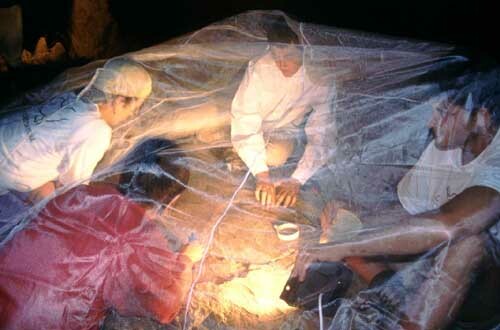 In conclusion I suggest to completely shift the chronology of the orants to a Middle Bronze Age – First Iron Age range. This suggestion is motivated by the fact that the orants superimpose Neolithic-Copper Age figures (maps), Copper Age figures (ploughing scenes) and Ancient Bronze Age figures (daggers). So it is impossible to place them in these periods. 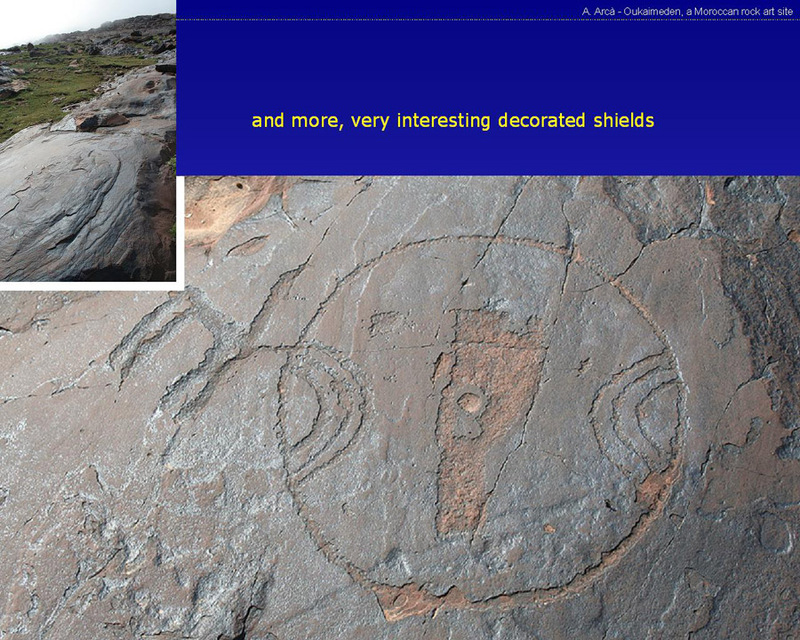 The yet cited relations with weaponed figures and Iron Age iconography confirm this hypothesis. There is also to notice that more orthogonal figures belong to the last phase of the orants, being often superimposed to more rounded orants (Grosio Rupe Magna) and in some cases weaponed. Regarding the interpretation I would like to underline the frequent presence of couples of orants: it should be explained like a duel without weapon or like a ritual dance, thus introducing the later Iron Age heavier weaponed duels or duel-dance-competition-feast-rite activities. This interpretation fit very well in a thematic box were the figure of the (young) man and warrior begin to take importance, being afterwards dominant during the Iron Age. Regarding on the contrary to the female representations, totally absent in the Iron Age, we can hypothesise a connection with some (ritual) dance, sometimes, like in Naquane rock 1 and 23, in a funerary context. Focus point. The shifting of the orants chronology involves a modification in the entire Valcamonica style-definition. Without them the periods I and II loose the most important subjects. So I personally suggest to assign the first topographic representations to the period II, and to assign the Proto-Camunian figures to the period I. I hope that there would be an agreement among the scholars in order to clarify this important point.